My son Daniel is petrified of spiders. We live in the woods. There are spiders in the woods. Therefore, Dan will sometimes see spiders in the house. He recently described how at 1 in the morning he saw one that he killed but then saw another bigger one on the wall. The second one he described, with a scrunched-up face of disgust, as being gigantic with a big brown body. When he went to kill it, it scrambled away. He FaceTimed one of his friends who told him: You need to kill it or it will keep you up all night knowing it’s there. He did eventually get a portable vacuum to make it go away. All the while he was telling the story, he made gagging noises as if he was so repulsed he was going to barf. Now look, we all have our phobias and things about creepy crawlies that make our skin crawl. For me, spiders are no big whoop. They are a part of nature, good for the environment and largely harmless enough. Unless, of course, you are talking about the kinds of spiders you find in Australia or camel spiders, in which case, all bets are off! Living in the woods, we’ve had our encounters with mice, bears and bats. Eventful yes, and sometimes unpleasant, but relatively OK. But what really gets me to shriek in terror? My overwhelming fear is of roaches, water bugs or these ridiculous creepers called palmetto bugs that they have in Florida. 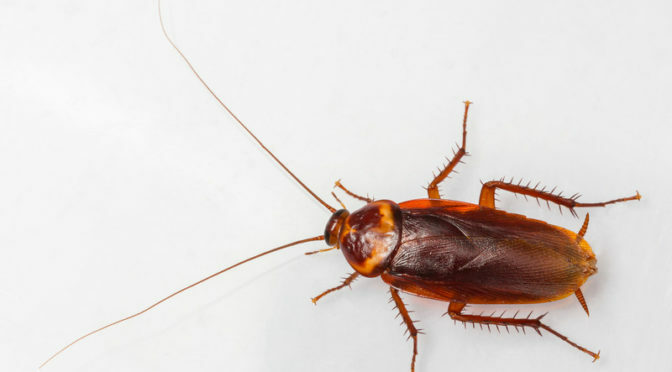 As a kid growing up in the Bronx and more specifically as a newspaper delivery boy, I’d encounter the godawful water bugs, especially in the halls of the basement apartments. To this day, I can recall with clarity a water bug perched atop the doorway of a customer I was delivering to. It was the length, I swear, of a dollar bill, its long thin antennae twitching. I was so panicked at the sight of this thing, I flung the paper like a discus and fled up the stairs. From that day forward, that was my M.O. in delivering to that door: Fear, fling, flee. Pedro and I are at a sports bar in Queens, about two blocks from his place. His phone buzzes. It’s his beloved wife. 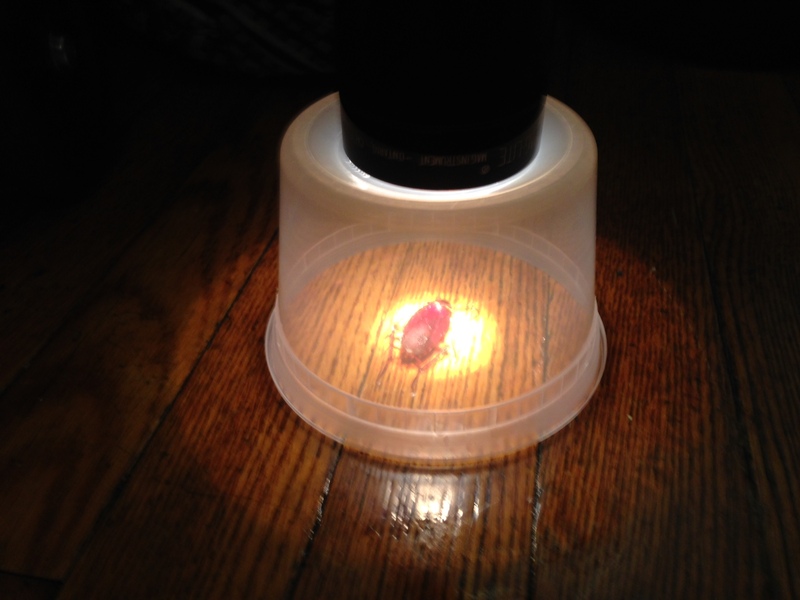 We arrived, and sure enough, there it was under a plastic container with a flashlight atop it no less. I know Pedro was exasperated at this minidrama, but in her defense, Vanessa at least did not threaten to burn the house down.